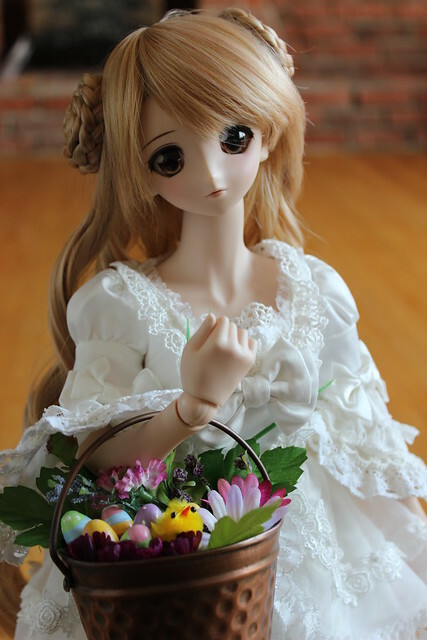 I hope everyone is enjoying their Easter holiday weekend. Here in Canada, it’s a 4-day weekend for most schools, businesses and shops. PlasticFantastic and Sam came over today to hang out, and a few photos came about. 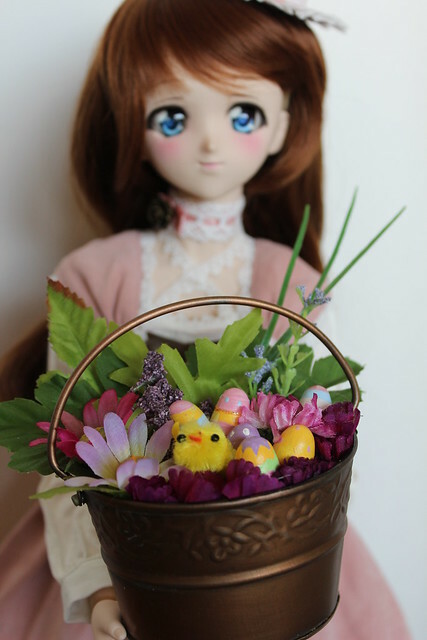 Here’s Mélisande with a cute Easter basket that I made. This basket was a gift for Puppy52. The Easter Bunny delivered it to her a bit early, but it’s better to be early than late! 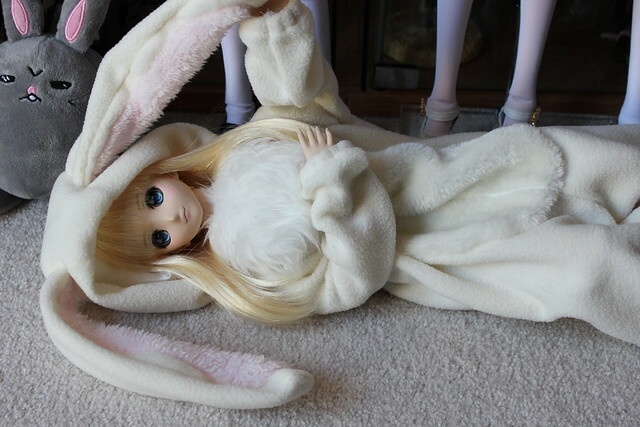 Médée looks super adorable in this bunny kigurumi! 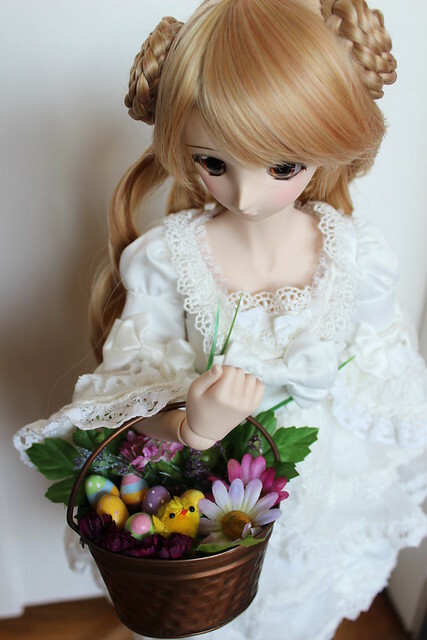 Aerie as the Easter Bunny. With special appearance by Angry Bunny! 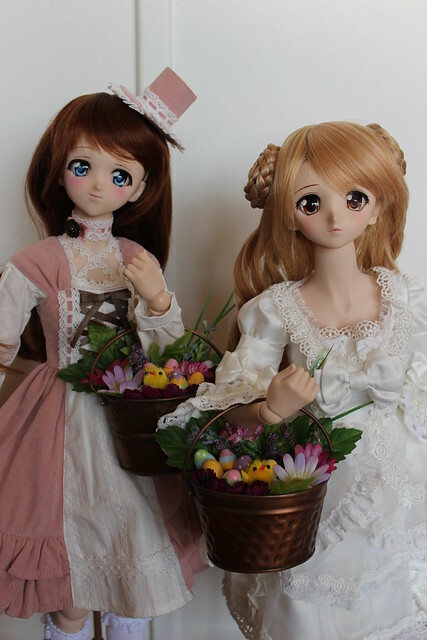 This entry was posted in Dollfie Dream and tagged Aerie, easter, Mélisande, Medée, Moe by archangeli. Bookmark the permalink. 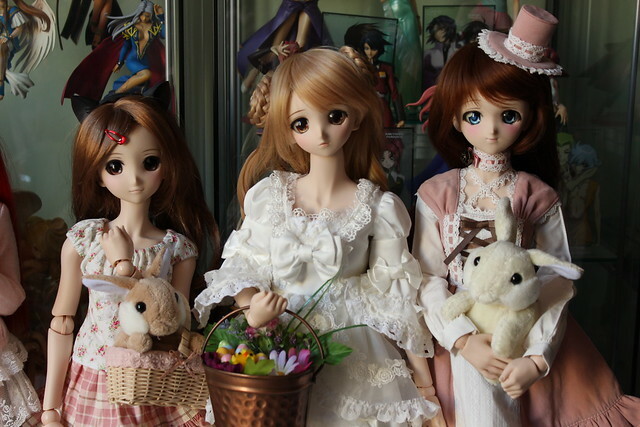 They all look so adorable in their Easter outfits! 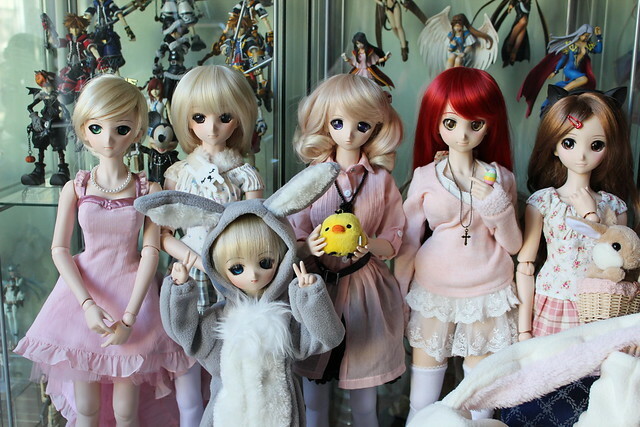 They all look so cute!!! 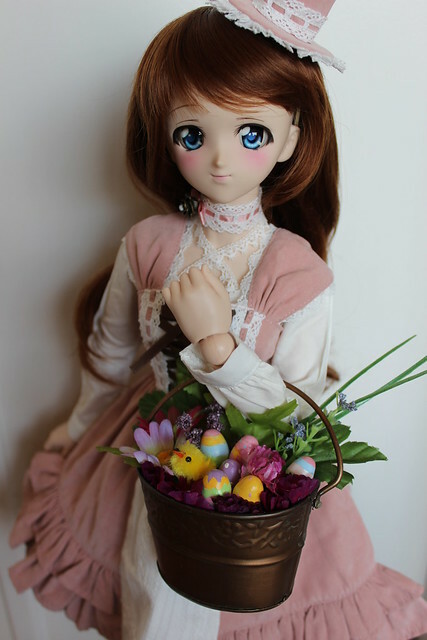 I especially love the little bunny costumes… and the doll sized Easter baskets… I LOVE making doll sized Easter baskets, and these ones are just too cute. Happy Easter to you and your girls!! !